A master race of biologically superior people! 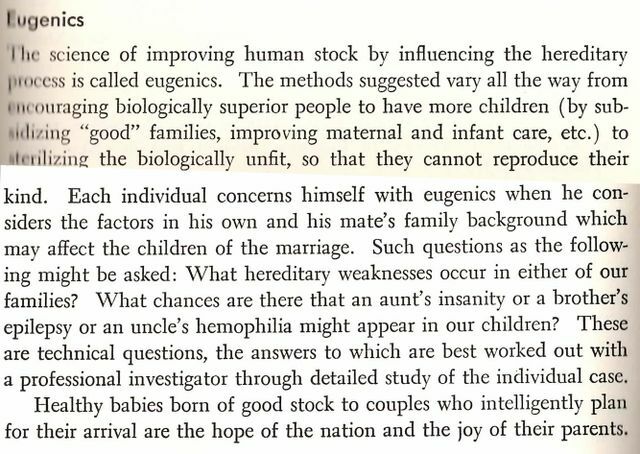 Sterilizing the "unfit" so they cannot produce more of "their kind!" Designer embryos via a consultation with a professional eugenics investigator!